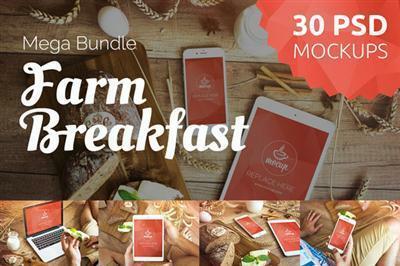 Look at 30 PSD bundle with rustic perfection scenes. Mockup photos with iPhone 6 , Macbook Pro and iPad Mini in foodie environment. Enjoy and use farm breakfast theme for all kind of bio, healthy or natural style designs.